Committee supports removal of requirement for drivers of companies accredited in the NHVAS mass and maintenance modules to carry documents. The NHVR earlier this year instructed authorities not to enforce 'must carry' provisions for the mass and maintenance modules under NHVAS. The administrative workload on operators enrolled in the National Heavy Vehicle Accreditation Scheme (NHVAS) could soon be eased, with a government committee recommending changes to remove some paperwork requirements. Queensland's Transport, Housing and Local Government Committee has urged the passage of the Transport and Other Legislation Amendment Bill through the State's parliament. If passed, the Bill will amend a section of the Heavy Vehicle National Law Act to end the need for drivers of trucks enrolled in the NHVAS maintenance and mass management modules to carry accreditation certificates and signed documents with them. "The Committee is satisfied that this approach will meet the Bill's policy objectives to remove unnecessary red tape and regulatory burden for industry," the committee notes in its report following its inquiry into the Bill. The paperwork or 'must carry' requirements for the mass and maintenance modules were the result of a drafting error when national heavy vehicle regulations were being developed. Previously, only a company accredited in the NHVAS fatigue management modules had to provide drivers with a certificate and a signed document stating the driver was operating under the company's accreditation module, had received proper induction and met the requirements relating to the module. However, policy makers inadvertently extended the requirements to cover all forms of heavy vehicle accreditation under national regulations. The Australian Trucking Association (ATA) lobbied for changes to the Act to restore the previous system. It told the committee the requirements were imposing a burden on the industry. "The logistics of providing every driver with these extra documents has proved to be a considerable problem, because drivers swap trucks and trailers, including between accredited and non-accredited modules," it wrote in its submission to the inquiry. "Under the law as enacted, even short term agency drivers need to be given letters of induction and copies of accreditation certificates. Those drivers must then be pressed to return their letters and accreditation certificates on completing work." The ATA says the requirement to carry mass and maintenance accreditation certificates does not deliver any safety benefits. "Enforcement officers have always been able to identify vehicles in NHVAS mass and maintenance by checking their accreditation labels," the group says. ATA government relations and communications manager Bill McKinley says the association is pleased the committee has supported changes to 'must carry' provisions. "In its report, the committee recognised the importance of getting these provisions right and noted that the ATA and the QTA [Queensland Trucking Association] had endorsed the amendments proposed by the Queensland Government in its bill," McKinley says. Once Queensland passes the Bill, the amendment will automatically take effect in New South Wales, Victoria and Tasmania due to provisions those states adopted when signing up to national regulations. The change will not automatically become law in South Australia, but the ATA says SA's version of the Heavy Vehicle National Law allows the governor to amend the legislation to match what is in place in Queensland. Earlier this year, the NHVR instructed roadside enforcement officers not to enforce the documentation provision for companies accredited in the mass and maintenance modules. The documentation requirements for basic fatigue management and advanced fatigue management have not changed. 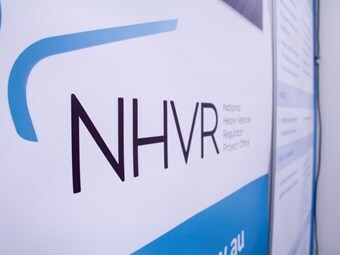 "Drivers must still carry and produce on demand all the relevant documents which show that they have been trained and inducted in these two safety-related management schemes," the NHVR says.